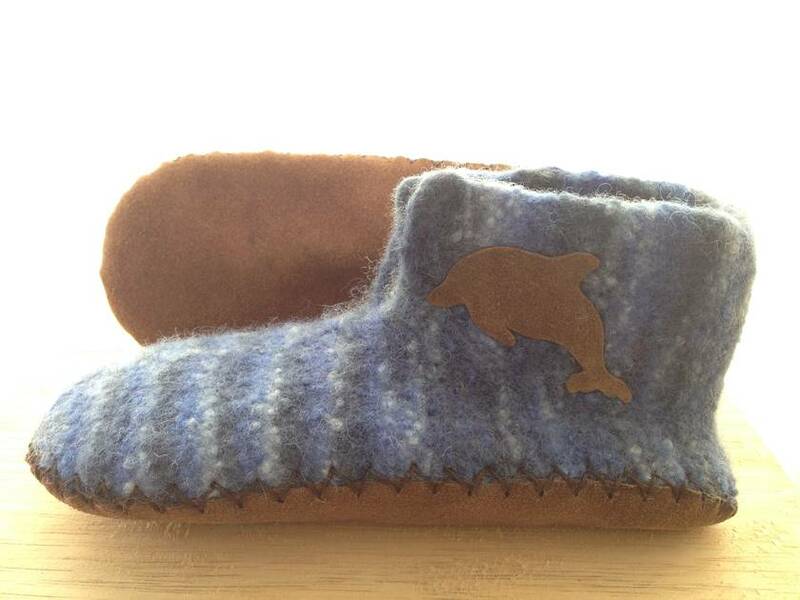 These slippers are knitted from 100% New Zealand South Island wool and then felted. 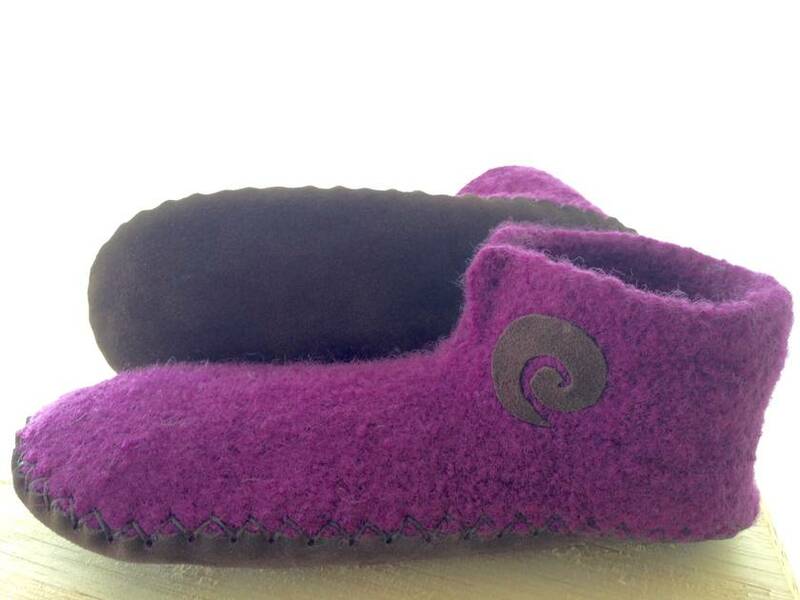 The result is irresistibly warm and soft! The sole is made from leather and then sowed on with special cobblers thread. It makes them non slip (very important on kitchen tiles and wooden floors...) and very sturdy and adds to the warmth and comfort. Feels like walking on clouds and keeps little toes warm even on the coldest floors. They are light and easy to mail so make a good Kiwi present for oversees aswell. 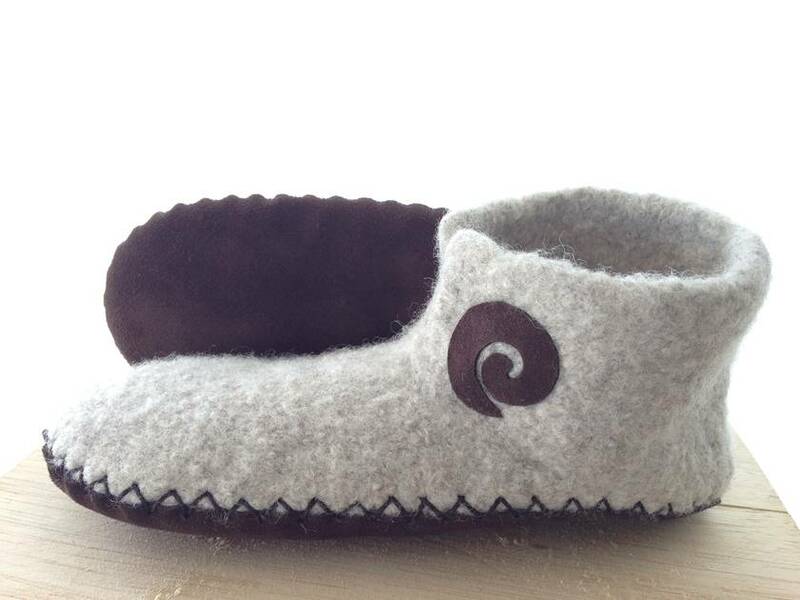 Before ordering please contact me via the button on the left to let me know your choice of colour, and size (either shoe size or measure the size of the foot from the top of the big toe to the back of the heel in centimetres - I will add 1.5cm to this so there is enough room for feet to grow). 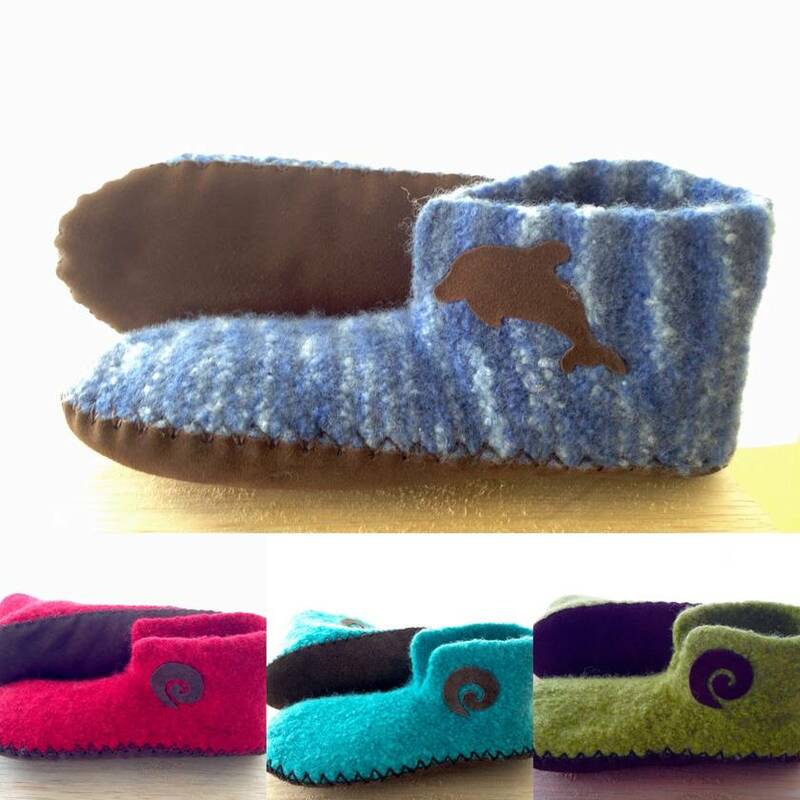 Children's sizes are from infants size 5 (foot length 12cm) to youth size 2 ( foot length 21cm). For bigger sizes you can order adult sizes in my shop.